The EVTOL (Electric Vertical Take-Off and Landing) flying taxi could carry four or five passengers up to 500 miles, according to Rolls-Royce. (CNN) - The prospect of a flying taxi that lifts you over the traffic and speeds you to your destination is an enticing one -- but are we any nearer to it becoming a reality? A recent breakthrough by a U.K.-based company, which has built and flown a fully electric vertical takeoff and landing aircraft, suggests we are. Plans to take ride-hailing app Uber into the skies with a new fleet of personal aircraft are also pressing ahead, with some experts suggesting that ambitions to introduce aerial taxis within three or four years are potentially achievable, if not necessarily affordable. The UK's Vertical Aerospace completed a test flight for its unmanned prototype in June 2018 after being granted flight permission by the country's Civil Aviation Authority. The VTOL aircraft, which weighs 750 kilograms, was designed, built and flown in just 12 months. 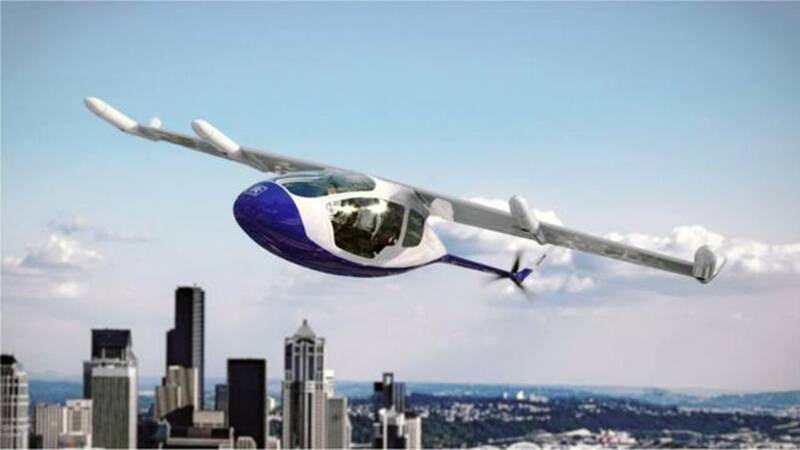 Founded by OVO Energy CEO Stephen Fitzpatrick in 2016, Vertical Aerospace aims to revolutionize how people fly by providing personal, on demand and carbon-free air travel between different cities. "Passenger numbers for short haul flights have exploded in recent years, but as a result aviation is now a major contributor to climate change and local air pollution," says Stephen Fitzpatrick, the company's founder and CEO. "We want to decarbonize air travel and give people the freedom to fly from their local neighborhood directly to their destination." Drawing on technology used in Formula 1 racing, it aims to launch VTOL services on specific U.K. intercity routes in the next four years. "The lightweight materials, aerodynamics and electrical systems developed through F1 are highly applicable to aircraft, much more so than to road transport," adds Fitzpatrick. "By putting those technologies in the hands of experienced aerospace engineers, we can build cutting edge aircraft for the 21st Century." Of course, aerial taxi plans have been in the works for a number of years, with Uber acting as the main driving force. The ride-hailing giant revealed new details of its network of electrically powered flying taxis at the annual Uber Elevate Summit in May 2018. This system would see passengers simply open an app, tap a button and hop on an elevator to the nearest vertiport. From here an awaiting UberAIR would take them to a destination of their choice. Uber has decided to launch in LA, Dallas and a third as-yet-undecided international city by 2023, with the first aircraft to be tested as early as 2020. "They're hard goals, but we think it's important to push for excellence," says Eric Allison, Uber's Head of Aviation. "The 2020 date requires that our partners build vehicles that we can use in an experimental setting, and demonstrate key metrics such as noise, range and battery power." So far Uber has pursued a band of world-class aerospace partners such as NASA for its air traffic control systems, as well as several aircraft manufacturers to design the network's vertical takeoff and landing -- VTOL -- models, including Pipistrel Aircraft, Bell Helicopter, Boeing's Aurora Flight Sciences, Karem Aircraft, Corgan and Embraer. Uber's first VTOL designs were revealed at the May summit, each aesthetically different from one another, but all adhering to the same measures, which include safety, energy storage, low noise, payload and emissions. Besides the core five manufacturers, the idea is that other companies will create their own VTOL iterations, basing their work on a model designed by Uber. Currently, more than 70 manufacturers are developing VTOL designs for use on Uber's network. The basic requirements of Uber's model dictate that VTOLs are able to cruise at 150 to 200 miles per hour at an altitude between 1,000 and 2,000 feet, with battery life lasting up to 60 miles before needing to recharge. Initially the aircraft will be manned by commercial pilots, who Uber hopes will be attracted by the promise of working closer to home on, but later on -- say a 10- to 20-year transition period -- plans are for the aircraft to be pilot-free. Connecting the network will be Uber's vertiports, retrofitted onto unused rooftops and existing helipads and equipped with power points where VTOLs can recharge batteries as passengers embark and disembark between trips. Uber says they'll need to be able to process more than 4,000 passengers per hour within a three-acre footprint, and could also be used to serve concerts, festivals and green spaces. Developing airspace management models is where Uber's expertise is still green. NASA is more than qualified in this arena and the agency has co-signed two Space Act Agreements with Uber to develop air transportation systems in urban areas. "The partnership with NASA is centered around simulation of air traffic control capabilities, using their unique data access and experience to manage large volumes of these vehicles, and to show how the different systems can integrate together," says Allison. NASA says it wants to make sure integrating these small aircraft doesn't put a strain on the current air traffic control system. Data supplied by Uber will help to manage this, simulating conditions in peak scheduled air traffic and drawing on research in areas such as low-altitude traffic management and system-wide safety to engineer a system that works. But will it be affordable? Experts are doubtful, but Allison insists the use of electric energy will keep prices down. "The cost per mile to operate a helicopter is about $9, and we think that by just applying electric propulsion technology, we can get the cost per mile down to just over $5, which is roughly equivalent to an Uber Black pricing [the company's luxury proposition]," he explains. Uber says it'll also be able to pool riders in the same way it does on the ground, so the cost can be split among the aircraft's four passengers. This lowers the passenger mile expense down to the price of an Uber X (a four-passenger sedan). Allison adds that, in the longer run, self-piloting technology, together with mass production of these aircraft, could drive prices down to the point where taking an UberAIR as your conventional mode of transport may be cheaper than owning a car. Despite Uber's efforts to mimic its ground model in the air, there's some doubt that an aerial ride-sharing service could be as affordable as this. "There is no enormous installed base of VTOLs to support this model as there are for cars, so any model would require dedicated assets," says Alan Lewis, managing director of strategy consulting firm L.E.K. "These are also going to be expensive assets, not only to purchase, but also to maintain at a high reliability and usage levels. "Parking, repair, fueling would need to be built to support these new vehicles, all adding to the cost." Lewis also points out that labor costs of VTOL pilots could be prohibitive too. "We are already in a major pilot shortage globally. This is not a skill that the typical adult has, as is the case with driving a vehicle, and it is hard to envision a model where the pilot of such a vehicle could be paid more than they could working as a commercial pilot," he adds. "At certain price points, models like this can exist, and indeed they do in places like Manila where people already use helicopters to traverse the city and avoid traffic. But this is the service of the super rich." Cost aside, another key barrier is regulation, which, for the U.S. cities, is being overseen by the Federal Aviation Authority (FAA). "It's going to be challenging because we have to lead with safety," Dan Elwell, acting administrator for the FAA, explained at the summit. "The pace of technological advancement in this industry is faster than anything we've had to deal with before, and we're not made to go at that pace." However, data gathered through the pilot program would help answer critical questions around safety and policy, he added. "We're in the process of going through the certification process for drones today. So I don't think out to 2023 is too ambitious, but I'm certainly not making any commitments." Safety is also a main concern for Vertical Aerospace as they strive towards technological advancements. "Aviation is among the most complex and highly regulated sectors in the world - and with good reason. Safety is and should be the number one priority," adds Fitzpatrick. "Our first eVTOL aircraft was granted flight permission by the CAA and we are already working with EASA to gain Type Certification for our next model. "Regulation evolves along with new technology but it takes time. We are working alongside regulators throughout that process." Historically, the FAA has taken as long as 10 years to regulate new aircraft. According to Elwell, this is largely because the pace of industry has taken just as long. But not anymore. "We want to certify these aircraft, and we want to do it as rapidly as the technology demands," he says. "I'm confident that this industry is going to come to the table not only with the innovative ideas but with the safety solutions that makes it that much easier for us." What's more, the current U.S. government could be an ace up Uber's sleeve. "I have never seen a more bullish administration on getting technology to the fore in my career," Elwell remarked. "I've never spoken to so many like-minded people on trying to match industry's innovation pace. "You have more commitment top to bottom to bring these technologies to viable life than I've ever seen."